DO NOT TRY TO TEACH YOUNG PEOPLE HOW TO CRITICALLY THINK! 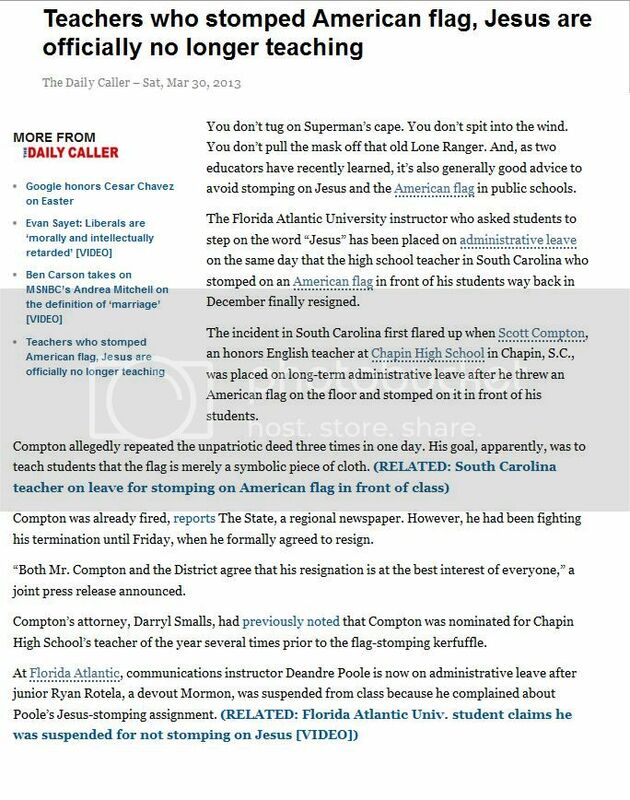 The Florida Atlantic University student who allegedly ran afoul of school administrators when he expressed discomfort with a professors assignment to stomp on a piece of paper bearing the word Jesus, has won in an absolute rout. As late as Monday, Fox News Radio was reporting that the student, devout Mormon Ryan Rotela, faced a litany of academic charges involving acts of verbal, written or physical abuse and could no longer attend class. Its unclear if the school was actually planning to punish Rotela before the incident became a national story. FAU has come out with a second apology. This time, its in the form of this nearly-touching humble pie-eating video.